Katreen joined our Milnathort branch in September 2014, she studied at Auchincruive and has a HND in Agriculture. 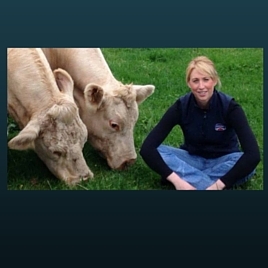 Katreen is a farmers daughter, and now farms with her partner Craig breeding Bluefaced Leicester sheep, scotch mules and pedigree Charolais cattle. Katreen likes to attend farm shows, sales and events and catching up with friends and family over a half!